This post includes affiliate links, which means if you buy a product using my link I earn a small commission at no extra cost to you. I used to dread creating a new landing page or sales page. It’s SO much work to start from scratch and write all the copy, design the page, make sure everything looks good on mobile, etc. etc. Finding a landing page template that I liked was life-changing. As in, I actually started creating landing pages and sales pages again after putting it off for months. After a friend recommended Thrive Architect to me, I bought it and I’m so pleased with it! 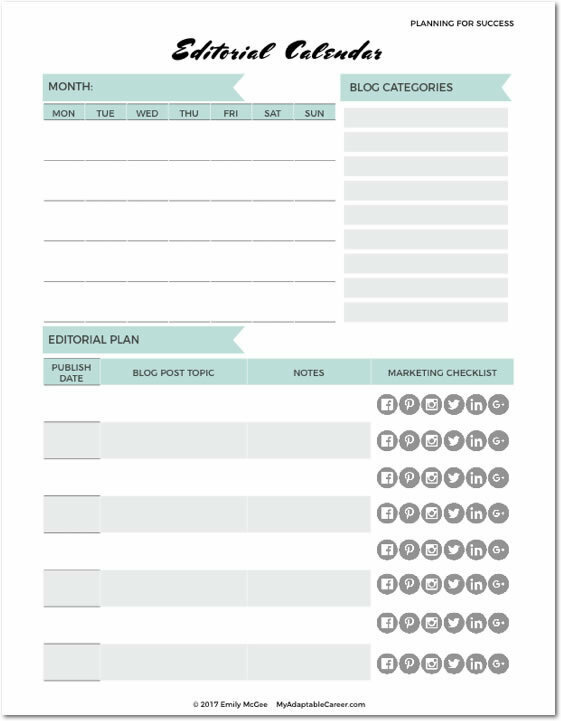 Not only does it come with more than 200 pre-designed templates, I can create and save my own templates, too! I feel like my sales pages, in particular, look a lot more trustworthy and professional because I’ve used a professional template, changed the colors and fonts to match my brand, and then used that same template across all my products to keep the look consistent. If I didn’t already own Thrive Architect, I would probably get these classy landing pages from Bluchic. Thrive has more templates, but sometimes having more options just makes me feel more overwhelmed. This landing page template pack from Bluchic has everything you need: an opt-in page, sales page, tripwire/special offer page, webinar sign-up page, thank you page, plus a few more. Just as I despise writing sales pages, I despise writing sales emails. What can I say? Selling is hard! 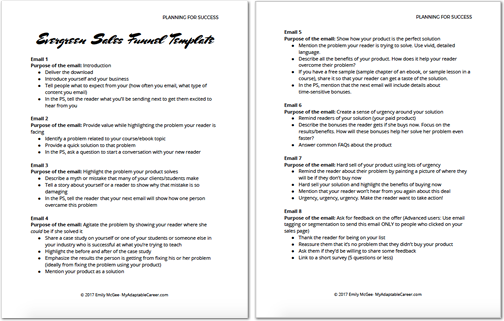 To make it easier on myself, I created a sales funnel template with a bulleted list of what to write in each email of the funnel. It’s saved me a lot of time, and I no longer waste hours staring at a blank document and blinking cursor when I have to write sales emails. I can’t believe it took me this long to buy social media templates. Seriously, now that I’m using them I realize just how much time I used to waste. I would spend hours a week tweaking images because I doubted my design skills and hated the templates I had created myself. Now that I have professionally designed templates that I can use with the free version of Canva, I’m in heaven. I changed the templates to use my brand colors (one click! ), and my fonts, and now it takes me about 10 minutes to create 6 pins and 6 Instagram posts. I’m in love with all of Station Seven‘s designs, and yes, they did create the theme for this website. I’m a big fan the clean and simple look they’ve got going on, and I appreciate that these pin templates put the headline in bold, since that’s really important to standing out on Pinterest. I also love that this template pack comes with 30 different pin designs, so I’ll never get bored. 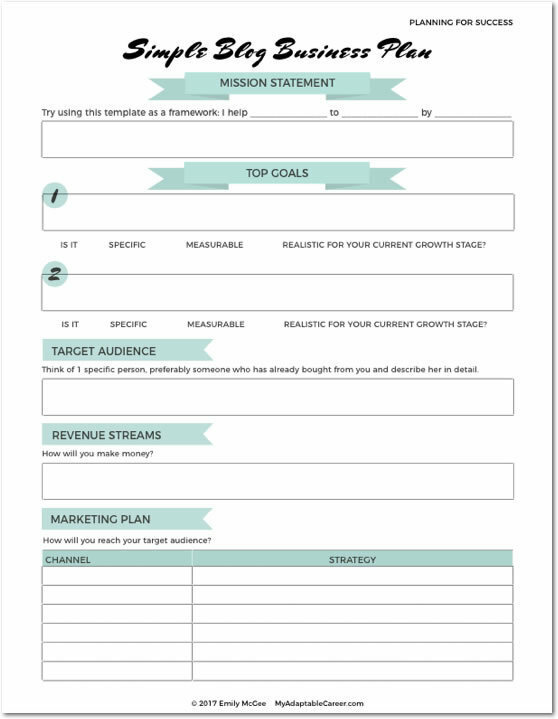 Need some Instagram templates to to showcase your Etsy store, coaching biz or blog? Station Seven‘s designs are just different enough that you’ll truly stand-out in the feed. Seriously, looking at these templates makes me want to start an Etsy store. Anyone else? I love the perfect blend of image and text in these Instagram templates. Alysha, the creator, also sells matching Instagram Story templates, so you can really get your Instagram aesthetic looking great. Anyway, this set has everything you need to create a cohesive, branded look on social media. Creating a new lead magnet used to take me about a week. 🙈 Umm…what was I doing!? I don’t have time for that! But I still need to create new lead magnets, content upgrades and ebooks because it’s the best way to grow my email list. Enter, you guessed it, more templates. I like the look of this one because it includes blog header and social media images that match the design of the ebooks and lead magnets. This way everything has a cohesive look. I also love that it’s the same designer that made my website theme, so the branding matches. With the 10 pages in this workbook I could mix and match the pages to create so many different content upgrades, ebooks, and workbooks. She has other styles/designs, too, so be sure to check out her shop! Note: When I first started looking for template packs, I saw a ton for Photoshop and InDesign, neither of which I have. So when you search, be sure to check what software you’ll need. There are fewer options for Canva, but they do exist, and all the templates I shared here are for use with Canva. I’d love to hear if you use templates in your business and if you have any template recommendations! Free Evergreen Sales funnel template! Wow I LOVE this! I spent hours trying to find templates for some of these things after learning exactly what you did, but didn’t like any of them enough to buy. These are all really great finds. Thanks for stopping by, Erica! I hope you find some templates that you love!